This might be a totally new topic in Afghanistan, well for me …. Yes it is. Actually a couple of months ago I attend a webinar on the topic of the Internet governance just from back of my office disk which was held by NITPAA (National IT Professionals Association of Afghanistan) with the help of ICANN. The webinar was being represented by Mr. Fahd Batayneh who is the ICANN's Stakeholder Engagement Coordinator of the Middle East. This two to Three hours webinar took my consideration regarding to the Internet governance and forced me to search more about the topic to learn more. While searching and studying about the topic in different websites I decided why I shouldn’t share whatever I found with all of you. 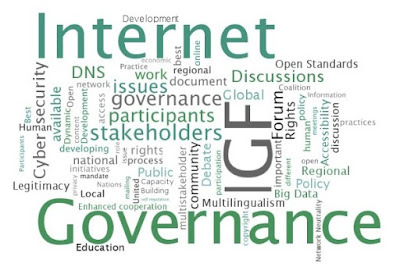 So following are what I have found and learned about the Internet Governance. As it is a little bit lengthy topic so I have divided it into the following two posts. Part2: Who are the Governingbodies of the Internet? Internet Governance is the development and application of shared principles, norms, rules, decision-making procedures, and programs that shape the evolution and use of the Internet. 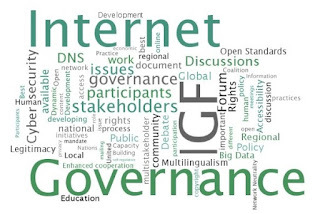 Before going more about the topic let me clarify that Internet governance should not be confused with E-Governance, they are two different things, E-Governance refers to the use of technology by the governments to carry out their governing duties. The definition of Internet governance has been contested by differing groups across political and ideological lines. But above definition was proposed by a working group established after an UN-initiated World Summit on the Information Society (WSIS) as part of its Jun 2005 report. To understand how internet is managed today, it is necessary to know a little bit about the history of Internet. So as we all know that Internet is the evolved form of the ARPANET which was sponsored by the Defense Advanced Researched Projects Agency within the U.S. Department of Defense. In order to connect their supercomputing facilities, the U.S. National Science Foundation (NFS) Used the TCP/IP to create the NSFNET backbone between 1984 and 1986, which became a general purpose research network, a hub to connect the supercomputing centers to each other and regional research and educational networks that would in turn connect campus networks. The combined networks generally known as the internet. By the end of 1989, Australia, Germany, Israel, Italy, Japan, Mexico, the Netherlands, New Zealand, and the UK were connected to the Internet, which had grown to contain more than 160,000 hosts. In 1990, the ARPANET was formally terminated and in 1991 the NSF stopped the restrictions on commercial use on NSFNET and the commercial network providers began to interconnect. By 30 April 1995 the final restriction on carrying commercial traffic was also ended When the NSFNET backbone services and service were ended. Today almost all Internet infrastructure in all over the world is provided and owned by the private sectors and traffic is being exchanged between these networks based up on established Internet standards and commercial agreements.